WWA Info Exchange • View topic - Score! While driving around Binghamton, I spotted a large utility trailer full of maple... I asked the guys who had obviously just taken down a tree (trunk?) if I could take one piece, they weren't the 'boss' so they said no. I waited til the boss showed up, politely asked if I could take a piece and he said sure... with this look on his face like he didn't believe I was asking him. 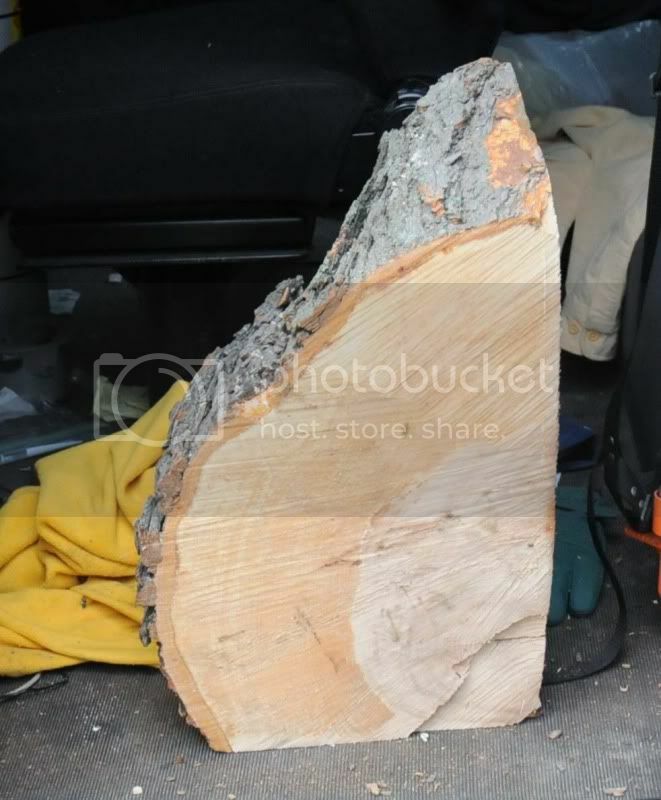 SO one large hunk o maple is in my work van for the moment. 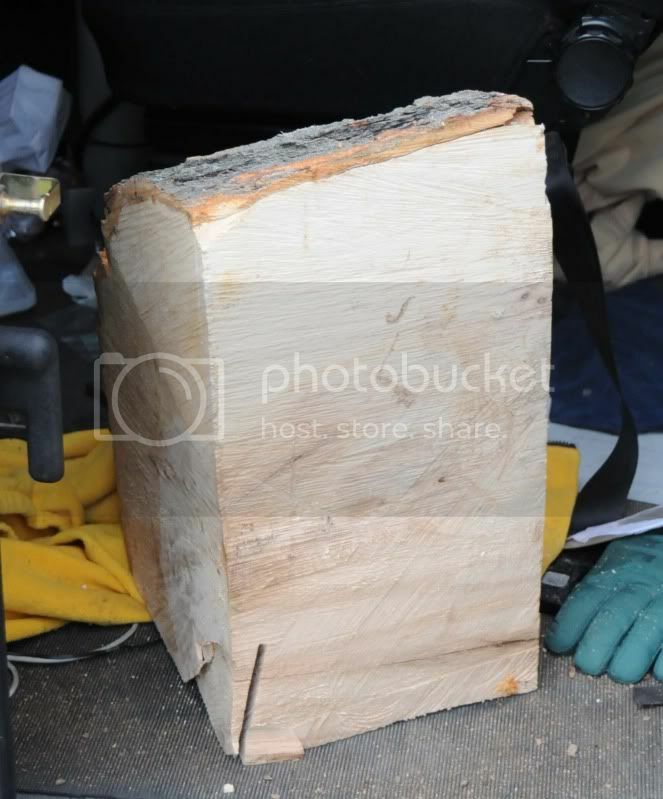 Get that chunk mounted and turned before it starts to split. Or you can buy some time if you get a coat of Anchorseal (or similar) coating the endgrain. I'm going to put some oops paint on the end grain until I can get it on the lathe.